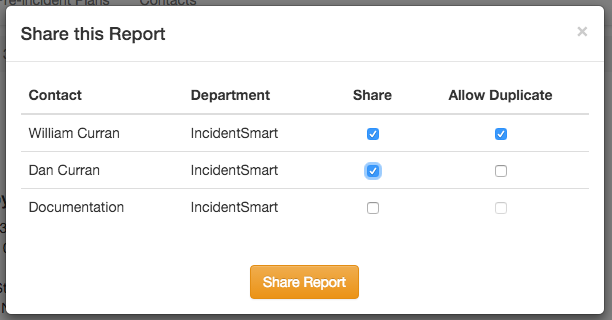 We are excited to let you know about some recent updates to IncidentSmart, including a few new user-requested features! A new icon for key boxes has been added. You can find it under the labels drop down. This icon is styled after the NFPA 170 recommended symbol. If you are going to use this icon instead of text, ensure all your members are familiar with the icon. 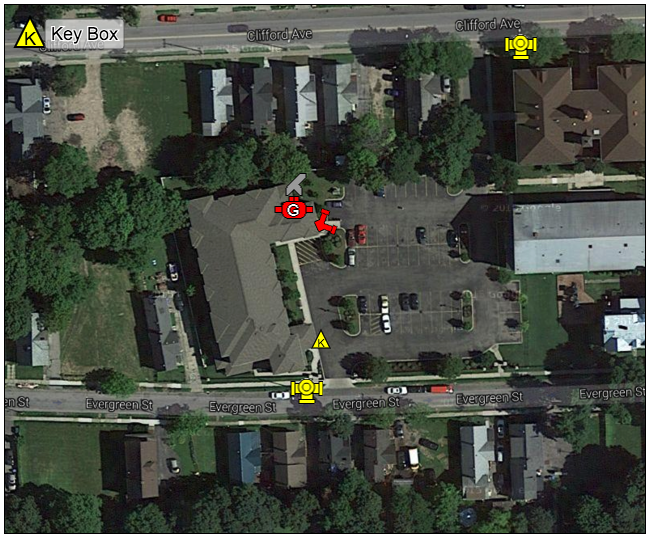 Another option is to create a legend on your maps as shown in the example below. You can now re-size map elements independently. For example, if you want your fire department connection (or any other icon) to be a little larger or smaller on the map compared to other icons you can now do this. Double click on your icon. You will see the Set Scale label and a slider next to it. Move the slider to resize the icon on the map. The sharing panel has been updated with a new look and feel. This update makes it easier to see who your report has been shared with. A new option has been added titled Allow Duplicate. This option is only available if you already have Share selected. When checked, the user who you shared the report with will be able to duplicate the report into their report list and have the ability to make changes. One use for this feature is for an administrator to create a master department wide pre-incident plan template. Next, share and allow the line officer's account to duplicate the report. Your master template will be safe from changes and your officers can now use this template for their future pre-incident plans. To see the full list of changes take a look at the program updates page.